In order to get our spring vegetables harvested before the end of the school term we are currently sowing the following from seed directly into the ground: bush beans, pole beans, zucchini, and lettuce. We are also transplanting seedlings of corn and cherry tomatoes, which we started in our greenhouse. Cherries mature quicker than the larger beefsteaks. For those with year round gardens wait until the weather warms up a little more before planting cucumbers, melons, and winter squash. 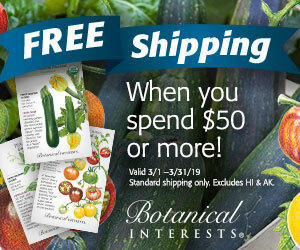 If you haven’t gotten seeds yet visit our friends at Botanical Interests and while you’re there check out their fundraising for school gardens.